An experienced fishing guide, Captain Charlie Jones can take you on a fishing adventure to remember on the Indian River Lagoon. Come aboard and reel in the catch of a lifetime. Available for beach or inshore fishing, guests will enjoy a comfortable boat ride along area ocean inlets and sandy beaches. Packages are inclusive of tackle, bait, fishing license, and other fun amenities. Best of all, our charters are available year-round. For larger parties, additional excellent captained boats are available. 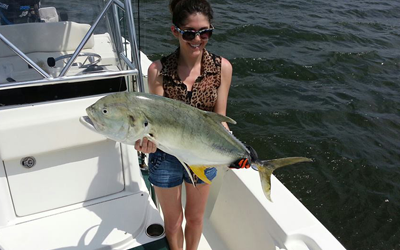 Hit Florida's waters with our fishing charter services. 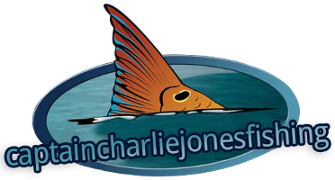 Captain Charlie Jones Inshore Fishing provides fishing charters to the waters around Fort Pierce, Florida, including Indian River and Vero Beach. If you want to catch redfish, snook, speckled trout, tarpon, and other exotic fish from warm tropical waters, you've come to the right place. 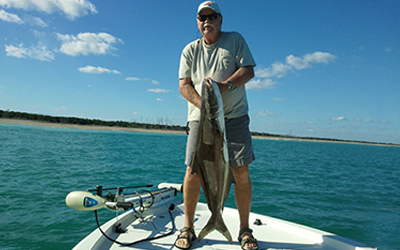 With more than 45 years of experience fishing all over Florida, owner and operator Captain Charlie Jones is passionate about catching saltwater fish. A decade ago, he retired, moved to Fort Pierce, and set out to do what he loved most. Since that day, he has spent as much time on the water as possible. Allow Captain Charlie to use his lifetime of fishing skills and experience to help you reel in the catch you'll be telling others about for years. Holding a captain's license, he offers unique guidance to make your day at sea memorable. Anglers or people just looking for a nice boat ride are all welcome.